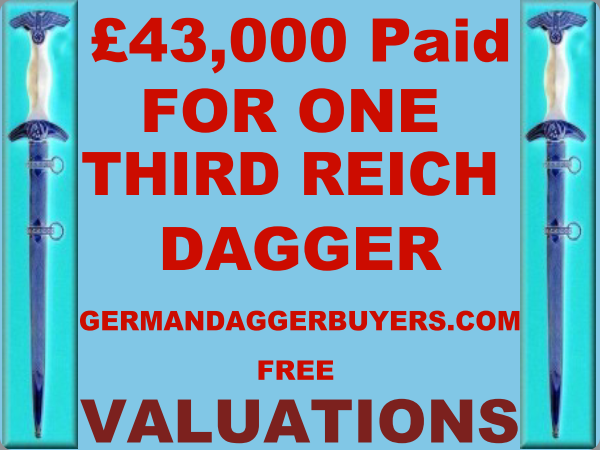 We at German Dagger Buyers .com specialise in the purchase of your German daggers, War Medals and all other items of Militaria From All Periods . Both weapons and German collectables from the second World War have been banned from the Ebay and other auctions on the Internet. German Dagger Buyers.com buy exclusively for a carefully vetted certified circle of responsible, academic collectors, museums and historians. right wing or other hate groups who adopt historic symbols to brand their evil agenda ! WW2buyer.com buy directly from you, so you prevent auctioneers from taking an overal 45% slice of the pie. German DaggerDealers.com considers public display of Nazi symbols outside of a balanced historical collection to be both irresponsible and offensive. we pay you the full price of your items immediately using “Paypal” or Cash On Delivery . We pay all customs costs for goods arriving from abroad outside and, of course, all shipping costs. By dealing with dedicated professionals you negate the risks associated with leaving your personal information on the Internet. If you prefer to get in touch with us directly, you can contact us by phone instead of by e-mail. Our office is open daily from 11:00 to 17:00 GMT. If you live close to us, we would also be happy to welcome you personally to our high street store. We are happy to buy independently from all distances. 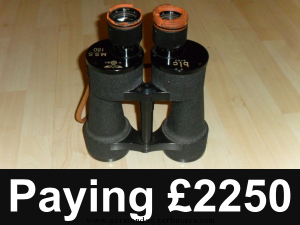 We offer our customers from within the EU countries where the open trade in such items is prohibited a legal saling option. We regularly conclude transatlantic business.